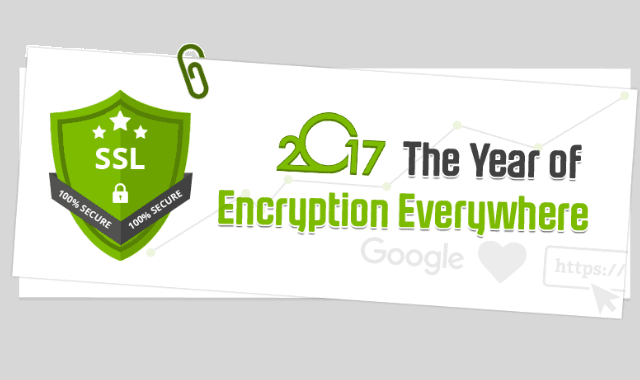 2017 The Year Of Encryption Everywhere #Infographic ~ Visualistan '+g+"
2017 is going to be probably the most secure year for website owners because Google released updates to force people to get site SSL ready. In the coming year, Google’s browser (Chrome 56) will begin to show warning message as “Not Secure” to all HTTP sites to make the web safer and secure (less hackable) place. Bellow Infographic shows you important announcements made by popular companies like Google, Apple, Microsoft, etc.